It is inevitable that a business owner will eventually leave their business. Whether they sell, retire or leave due to health reasons, it is important to be prepared for when that day eventually arrives. 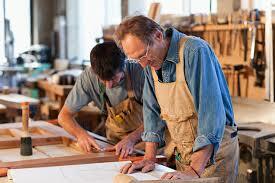 Creating a succession plan is a simple and common sense approach to ensure continuity in a family business. Succession plans enable smooth transitions and decrease the likelihood of disruptions. Early succession planning can also maximise a business’s value to help it meet future needs. plan. Although many of these family owned businesses in Australia are kept busy with daily business operations, putting off succession planning can create future problems and sever the ties of the strongest families. Hold regular meetings with the family to discuss the future of the family business and to ensure that there is no communication breakdown between all family members that are involved. Plan for the older generations’ exit to make sure that they are well provided for. Failing to do this means you risk losing their support, making it harder to plan for the future. Seek professional advice concerning all financial issues. It is crucial for the success of the financial side of the business to talk to the family’s accountant, solicitor or financial advisor. Always set dates for the next or future meetings so that discussions continue until a plan that benefits all family members is decided upon. Keep your plan current. Strong succession plans require revisions and updates to ensure that the plan stays relevant and suitable for members.